Come on and Smash a Bro! Our good fightan buddy kwfang is putting together a 2v2 AI tournament for Super Smash Bros. 64! The tournament will take place on July 21st. Each team will consist of 2 members. You and your partner will each choose one of 12 characters and a song of your choice for each victory. The matches will be played in Team Battle mode, on 5 stock. Due to retarded AI, friendly fire and 200% damage will be set. Additional rules and information will be added as they are decided if necessary. Once you find a partner and settle on a team, you can find the signup page here. This Sunday, KoF is here again. 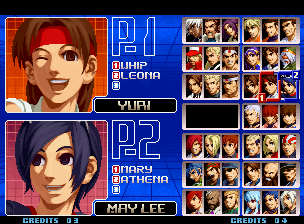 The game is KoF2002, so everyone can pick their favorite waifus and battle for Mexico. Signups here. Please sign up using your GGPO name. The sign-up page will close on Sunday at 5PM. Brackets will go up at the same time, and the tournament will begin at 6 or 7PM EST. This is a double elimination. Format will be a best 2 out of 3 set with winners, losers and grand finals being 3 out of 5. Never played KoF? Visit Dreamcancel/SRKwiki. #FuckMemory Invitational Begins March 2nd! Posted in: Site Tournaments. Tagged: copy paste is good article writing. Twinkle Star Sprites tournament starts 1:00 PM PST/4:00 PM EST March 2nd with stream provided by TriadLabs. No entry fee! Win cash prizes! All characters but Mevious and Memory are allowed. Best 2 out of 3, with best of five finals. 1st Place prize is $20.00, 2nd is $5.00, and 3rd $1.00. Game will be played in the Street Fighter II Koryu room on GGPO. Please sign up with your GGPO name in your name, or face disqualification for making it more work for me. Don’t have TSS? Here’s the ROM and savestate and a quick tutorial. The Challonge signup page can be found here. 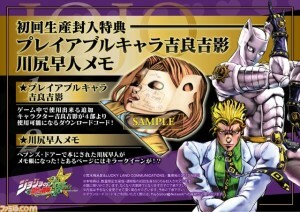 Posted in: GET HYPED!, JoJos. Tagged: Hi RiCK, ocelot pls go. 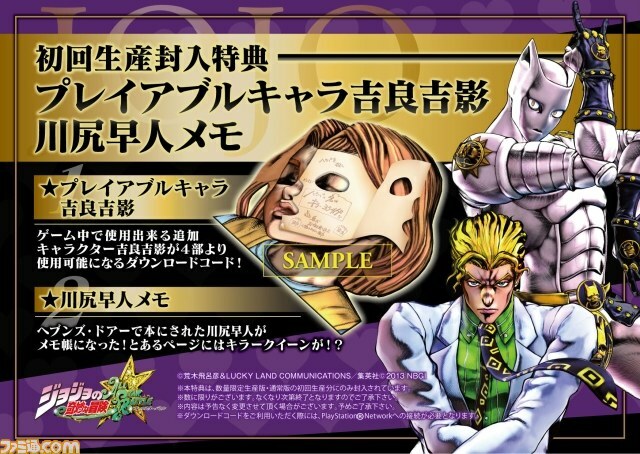 The Limited Edition Gold Experience Box will be sold for 16,980 yen ($180) and include a copy of JJBA:ASB, a golden Giorno art plate, special Jotaro figure, soundtrack disc, and DLC codes for playable Yoshikage Kira. 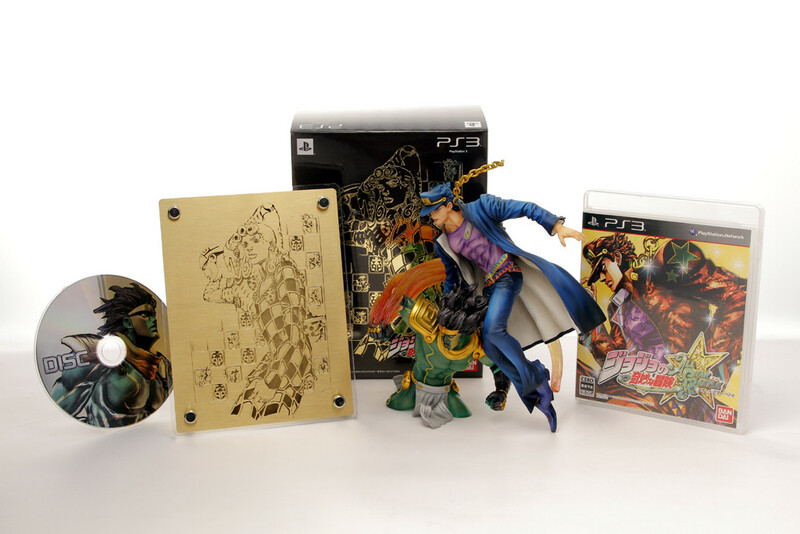 The standard edition will be sold for 7,980 yen ($86). These two weirdos along with the other recently announced characters were showcased in a new trailer that we’re not cool enough to see yet. 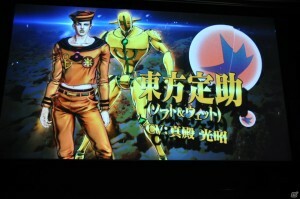 The game will be released August 29th.